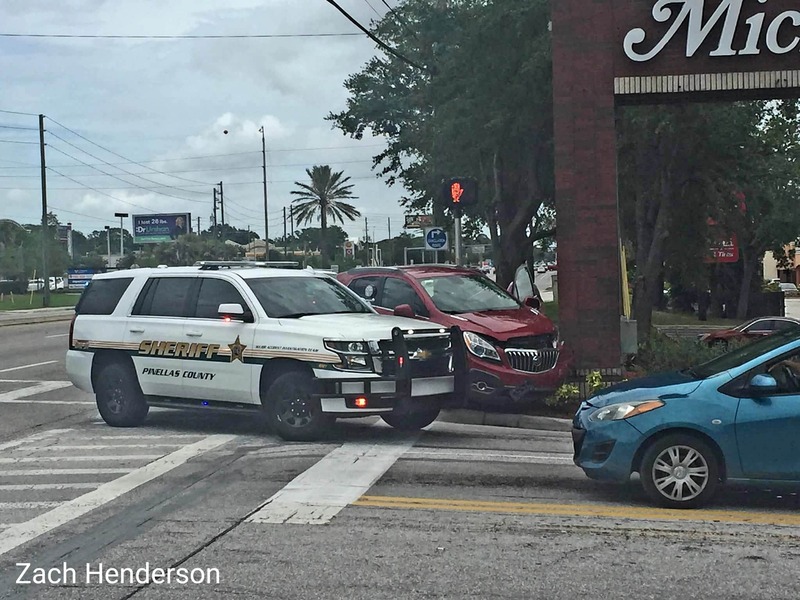 Deputy George Lehr suffered minor injuries after his vehicle was involved in a crash with a Buick Encore driven by a 78 year-old Largo woman. 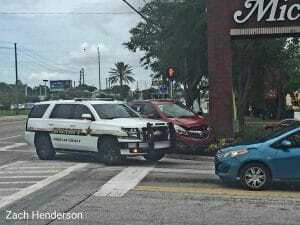 Pinellas deputies assigned to the Major Accident Investigation Team (M.A.I.T.) are investigating the two vehicle crash that occurred at about 12:54 p.m. on Tuesday, May 29, 2018. The crash occurred on Seminole Boulevard at Lark Drive Southwest in Largo. 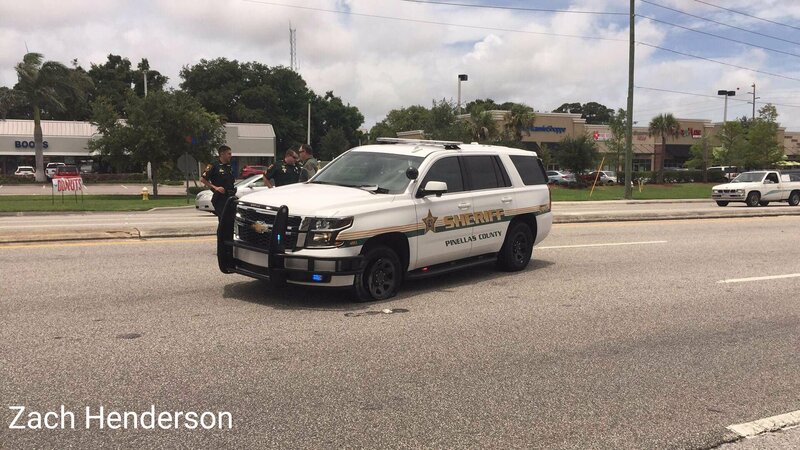 According to investigators, Deputy Lehr was on-duty and traveling northbound on Seminole Boulevard in a fully marked 2017 Chevrolet Tahoe. 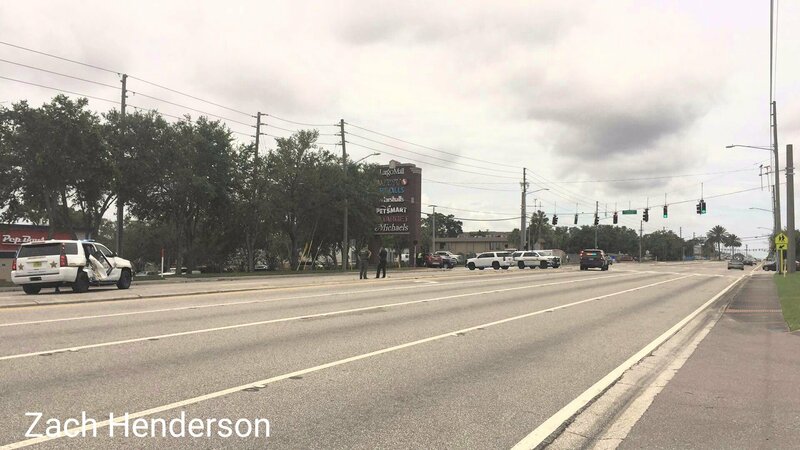 Investigators say, 78-year-old Mary Boute was driving her 2013 Buick Encore westbound on Lark Drive Southwest approaching Seminole Boulevard. 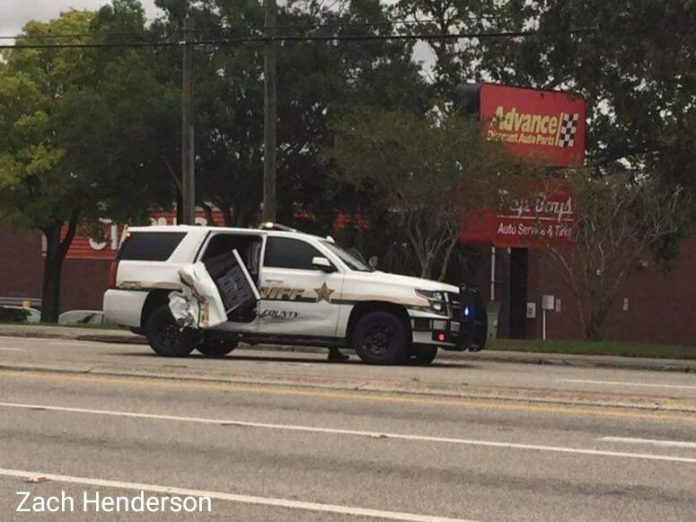 Boute stopped at the red traffic light at Seminole Boulevard, then proceeded to turn northbound onto Seminole Boulevard, striking Deputy Lehr in the rear passenger door, which caused his vehicle to spin. Investigators say Deputy Lehr had the green traffic light at Seminole Boulevard and Lark Drive Southwest, when he was struck by Boute. Deputy Lehr was transported to a local hospital by another deputy with minor injuries. Boute refused medical treatment on scene. Deputies say that Boute was cited for Careless Driving. Investigators do not believe speed or impairment were factors in the crash.